Get your air conditioning system checked and charged ready for the long hot summer. Does your car smell musty when the air con is in use? this can be due to bacteria in the system and can be neutralised and replaced with a pleasant 'as new' smell. With nearly every vehicle coming off the production line having air conditioning its no wonder that the manufacturers are looking at this closely, this will certainly be part of a main service in the future. 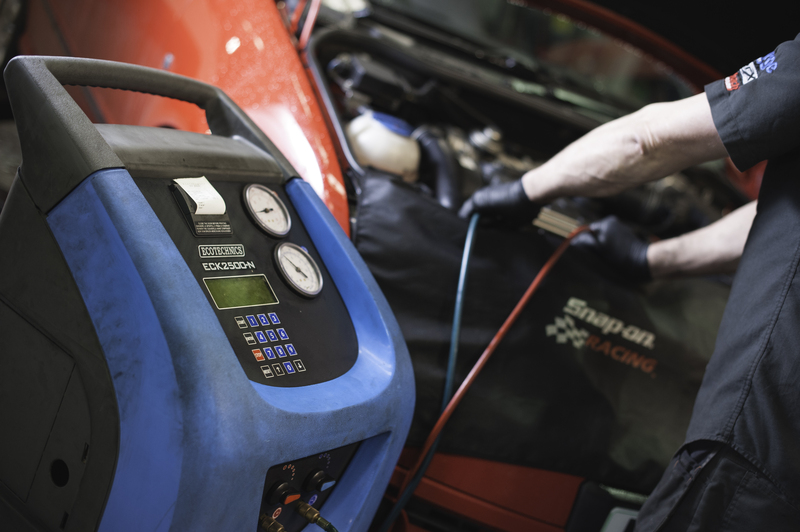 Also the warranty implications will be closely scrutinised, air conditioning on your vehicle is certainly not a maintenance free feature, this needs to be regularly serviced so not to void your warranty and more importantly not to be damaging your health. Awesome offers as part of an extra service the Airco-clean as recommended by the OEM (original equipment manufacturers). Air conditioned vehicles often seem to cause irritation to eyes, runny noses and sore throats. These symptoms are often accompanied by an unpleasant odour that can vary in its intensity. Contrary to popular belief, these problems are not caused by temperature variations leading to colds and chills, but by the formation of fungi and bacteria that form on the warm, damp evaporator fins. This provides a perfect environment for the growth of algae, bacteria, fungi and other micro-organisms. The resulting bacteria and smells are blown into the passenger compartment together with the cold air, causing the problems highlighted above. All 2017 MY Vehicles come with the new R1234yf gas. (SolsticeTM yf) is a HFO used as a replacement for R134a in automotive air conditioning. R1234yf (SolsticeTM yf) has a Global Warming Potential (GWP) under the limit set by the EU’s Mobile Air Conditioning (MAC) Directive and is the next generation refrigerant for automotive air conditioning.